Creating a menu with router links and active states in Angular2 is simple. The out of the box directives for this are pretty straight forward. Consider if I wrap some route anchors into a Bootstrap style navigation menu. This would be my top-level “app.html.” The AppComponent will be initialized with the menu always visible and the router-outlet will be below the menu. You can see in the mark-up above that the (3) routes use the routerLink and routerLinkActive directives. The routerLinkActive simply applies a class (active) when the route is active. This ties in nicely with Bootstrap’s stylings. Consider a typical use case where each route has the possibility of displaying user-editable data within a form. If the user is the middle of making edits, and the form is in a dirty state, we want to prevent the default routing behavior of navigating away from the current route when a router link is clicked. This is where we would want to display a dialog to the user to give them the option to navigate away, discarding their changes, or to remain on the current route. 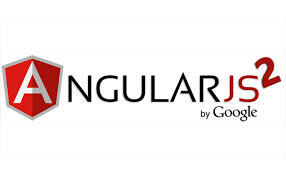 Angular2 provides built-in mechanisms for this purpose. They are called “guards.” The one in particular that we use to determine if the current route can be navigated from is the “CanDeactivate” guard. Since I ultimately plan to have a navigation service to intercept all navigation, I create my own implementation of the CanDeactivate as my NavigationService. The premise is that if a class implements “CanDeactivate<T>,” the the T route component is expected to provide a method that the implemented class can call to get the component’s state. These mechanisms are explained very well within the Angular2 samples. The Router will call this NavigationService for any route that is defined to use it. The ‘canDeactivate’ method will be called and it will receive a handle to the Component that is, potentially, being “deactivated.” As you can see from the interface “CanComponentDeactivate,” the return type from the Component being deactivated is expected to be an Observable, Promise, or simple boolean. When we get the return type from the Component, this is where things get interesting. You can see that if the Component does not have a ‘canDeactivate’ method, we return a Promise and resolve it to true to indicate that navigating for the route is allowed. In the case of receiving an Observable, things get more interesting. This is where I intercept the observable to display a confirmation dialog from the DialogService. The intercept method was interesting for me since I have not worked with Observables much. In order to intercept the Observable and inject the Promise that is returned from the DialogService, The map and flatMap methods are used. The map method, in my mind, is akin to subscribing to the observable to force it to resolve. It is a transforming method. After we map the observable, we will have the true or false value indicating whether or not the underlying Component “CanDeactivate.” Within this context, it is synonymous with “HasChanges.” If the Component HasChanges, then the DialogService is called. If the DialogService’s Promise returns a true value, then the user clicked “Ok” which allows Navigation to continue. If the user clicks “Cancel,” then they stay put with Navigation being prevented. All of my route Components are basically the same. They have a “hasChanges” boolean which is accessible via a Checkbox. Clicking the checkbox is, effectively, the same as toggling the dirty state. The “canDeactivate” method, then, in each route Component returns the inverted value of hasChanges as an Observable. Finally, as I mentioned above, the routes for which the “CanDeactivate” is to be checked should reference the NavigationService. was wondering if you had any suggestions for using two different navs on a site: one for the home page, which offers high level options, then after picking from one of the options, the page changes and a new nav related to that selection appears. I can use the same container, just wondering how to dynamically swap content…and links. Thanks ahead of time. Let me ponder that for a bit. I may actually have a bit of code that I can share that does something similar.